Group booking for 14 Participants only. Available dates during June and July 2019 contact us to discuss availability. Cost - £4200 for minimum group of 14 (£300 per person) £700 deposit would be required to secure the booking followed by the balance payable at least 6 weeks prior to challenge. This challenge is an inclusive adventure style event. We are calling it the 'Canoe Tucker Trail', which will be a test on your teams performance, qualities and positivity. What is the Canoe Tucker Trail? 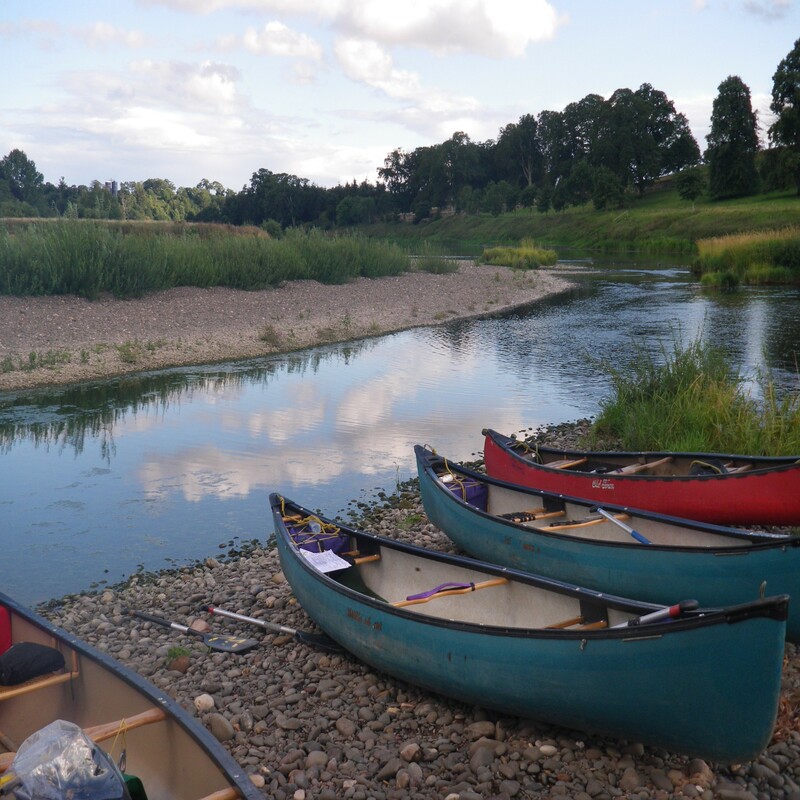 A guided canoe trip down the River Tweed, from KELSO to BERWICK, which forms the border between England and Scotland, starting 10am on a Saturday and finishing by midday on the Sunday. The team complete tasks and trials on the descent (whilst dealing with the task of canoeing) to earn points to get food and equipment for their wild camp night out. 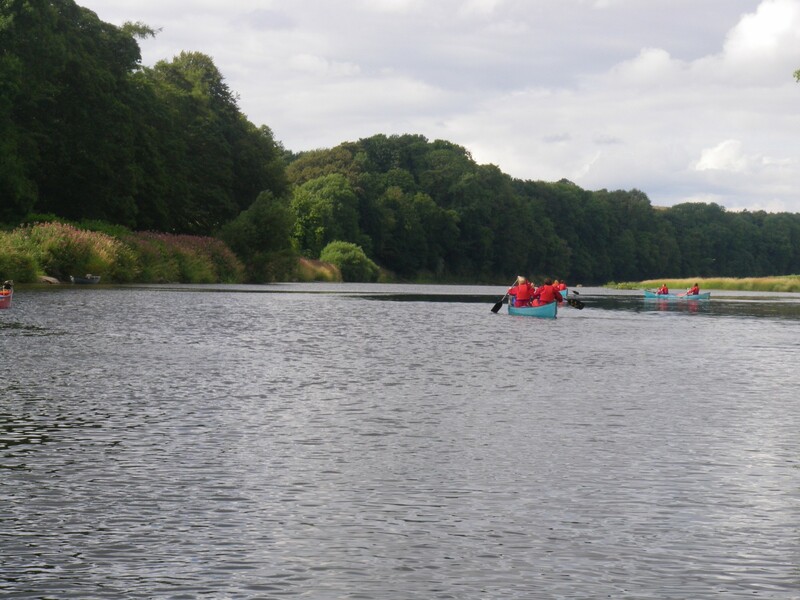 The wild camp night out will be spent biviing on an island in the middle of the River Tweed (Canny Island) and cooking will be completed over an open fire after a full day canoeing. This camping site is very secluded, it has NO facilities-tiolets/showers etc. The leaders will help the team build a camp fire to cook dinner on and help build shelters using tarps and canoes to sleep in for the night. The following morning you leave the island to complete the final hours of canoeing down to West Ord which is where the Tweed becomes tidal and is only a few kilometres from Berwick and the North Sea. If the tides were right the team will paddle down to Berwick the finishing line. Ideally the participates will stay in accommodation on the Friday evening somewhere close to Berwick upon Tweed, ready to be collected at 8am on the Saturday by our team. On completion of the event you will be transported back to the accommadation. 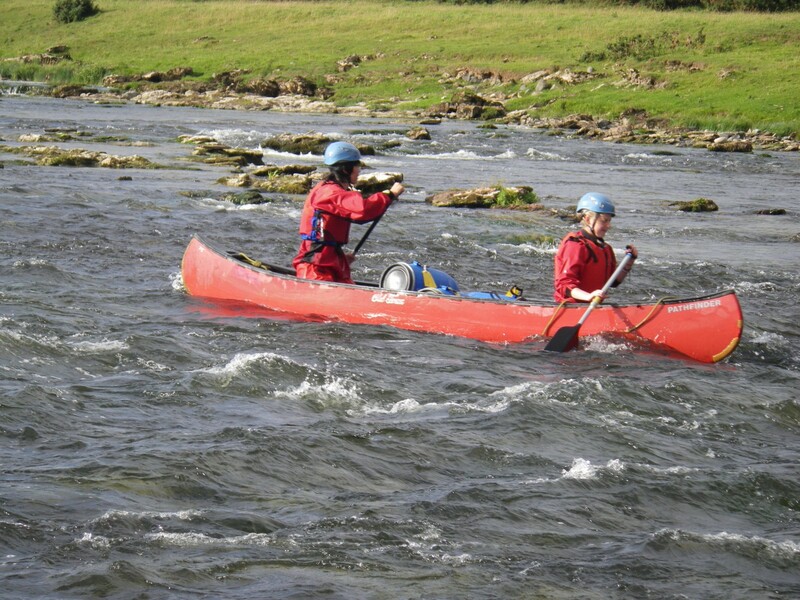 - Supply Canoes, paddles, life jackets, helmets for rapids and waterproofs for the group needed on the river. - Watertight barrels will be available to keep evening clothing, personel food and drinks safe and dry. 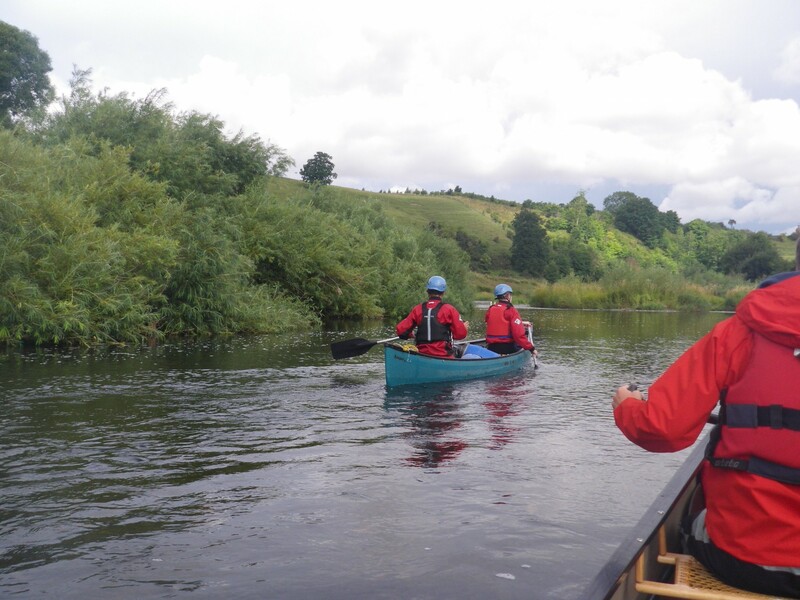 - The group are taught the basics of canoeing, enough to get them down the river safely and enjoyably. 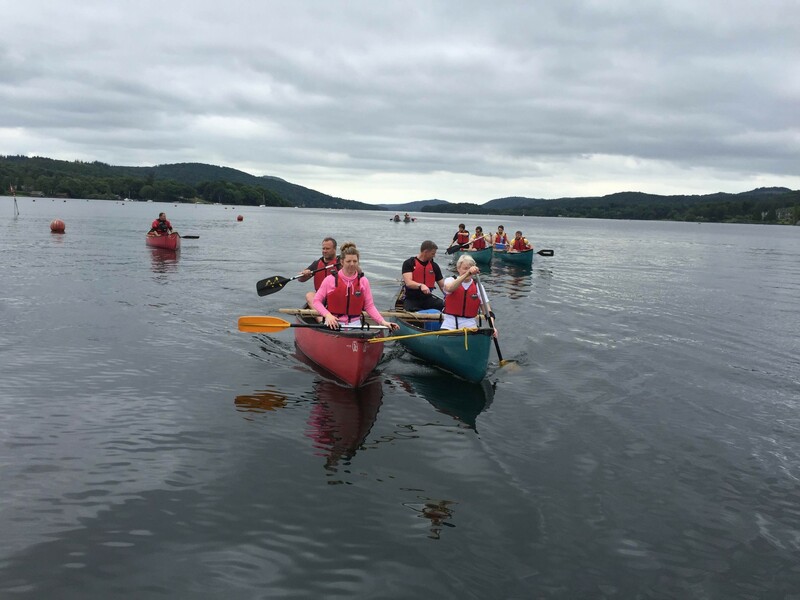 The group could be in rafted canoes (as in Lakes Challenge) if they are nervous of capsizing or they could be separate boats to get the full canoeing exoerience. - We will supply drinking water and evening camp meal. Food will be local game/meat (from a butchers, not caught ourselves) and vegables to make a hearty dinner. Obviously any dietary requirements can be catered for too. - We will supply tarps which will be used along with the canoes to create shelters to sleep in for the night. 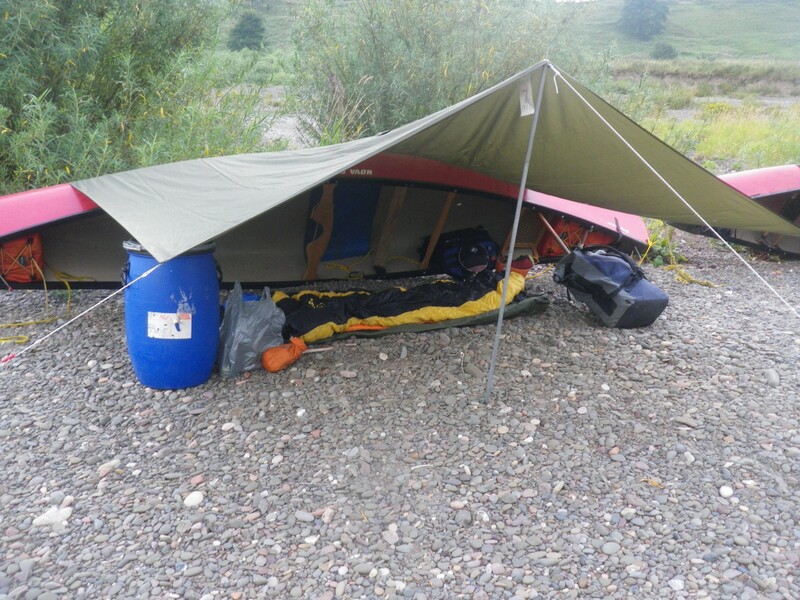 - We will supply sleeping bags, roll mats and bivi bags for all participants. - Transport from Berwick upon Tweed to transport you to Kelso to start the event and back to your Berwick accommodation on completion.